Having two coordinators for both the offense and the defense is not a revolutionary concept that newly named head coach Ryan Day brings to Ohio State. Chris Ash and Luke Fickell were co-defensive coordinators from 2014-15. Fickell and Greg Schiano split duties during the 2017 season. Even Day and Kevin Wilson were named as co-offensive coordinators prior to the start of the 2018 season. Day said two coordinators brings a diversity of opinion, bringing proficiency to different parts of either the offense or the defense. That is why he hired both Gary Mattison and Jeff Hafley as co-defensive coordinators for the 2019 season. “I like the expertise and experience that Jeff has in the secondary coupled with the expertise that Greg brings to the front seven,” Day said in a statement. Mattison is not a new name to the head coach Day is replacing. From 2005-07, Mattison served as the co-defensive coordinator, along with current South Florida head coach Charlie Strong, and defensive line coach in former Ohio State head coach Urban Meyer’s first three seasons at Florida. Primarily, Day said he wanted to bring in Mattison for his experience in the Big Ten. 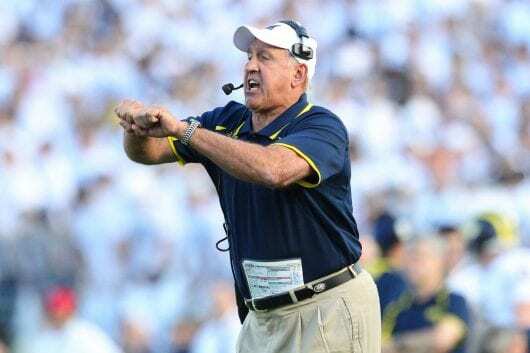 Leaving his position as the defensive line coach at Michigan under head coach Jim Harbaugh, Mattison has been with the Wolverines for 13 seasons, having previously served as their defensive coordinator from 1995-96 and from 2011-14. Mattison also brings NFL experience, serving as the linebackers coach for John Harbaugh and the Baltimore Ravens in 2008 and being promoted to defensive coordinator in 2009 and 2010, leading the No. 3 scoring defense in each of those seasons. Last season with Michigan, his defensive line limited opponents to average 3.7 yards per carry and opposing quarterbacks to complete 49.5 percent of passes attempted, No. 1 in the Big Ten. However, with Larry Johnson, who was named as the associate head coach under Day while also serving as the defensive line coach, Mattison’s specific position group has not yet been defined. “His NFL knowledge coaching the secondary is only going to enhance and improve what has become a marquee area for the Buckeyes,” Day said. After college stops with Pittsburgh and Rutgers, the latter of which was under Schiano, Hafley has been a defensive backs coach in the NFL since 2012 for the Tampa Bay Buccaneers, the Cleveland Browns and the San Francisco 49ers. He worked under Chip Kelly in 2016, who also had Day on staff as his quarterbacks coach. In 2017, he helped lead a 49ers secondary to the No. 11 pass defense in the league, allowing 233.2 passing yards per game after inheriting the No. 27 pass defense in the country heading into the previous year. Day’s coaching staff is beginning to take shape, bringing two new faces to Ohio State. But the idea of co-defensive coordinators, two coaches bringing expertise to the defense, remains.